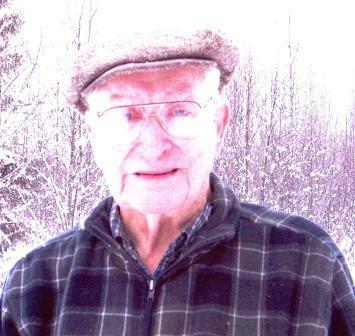 Phillip MacDonald was born February 12, 1919 in Upper Leitches Creek, Cape Breton, Nova Scotia, and passed away October 23, 2015 at Dr. Helmcken Memorial Hospital in Clearwater, British Columbia. He is survived by daughters Shirley (Larry) McMillan, Donna Marie MacDonald and Leona (Bob) Hole; his sons Melvin (Rhonda) MacDonald, Colin (Dusty) MacDonald, Johnny MacDonald and Leon MacDonald; 17 grandchildren and 20 great grandchildren. Phillip was predeceased by his wife Leona MacDonald (nee Wurm) who passed away on April 7, 1992 in Clearwater, British Columbia after 43 years of marriage. He is also predeceased by his sons Donald MacDonald of Clearwater, British Columbia and Darrel MacDonald of Saskatoon, Saskatchewan. Phillip was in the Royal Canadian Army Signal Corp. in WWII. He received many War Service Medals. The 45 Star in 1939, France and Germany Star, Defence Medal, Canadian Volunteer Service Medal and Clasp. Phillip also spent 40 plus years in the saw mill for Clearwater Timber Products and its successors. Phillip’s wishes were to be cremated. There will be no service at this time. The family will be having a Celebration of Life for Phillip in the spring. The family would like to thank the staff at Dr. Helmcken Memorial Hospital and Forest View Place for their care over the past five years. Donations in memory of Phillip may be made to the Canadian Cancer Society, 214 – 141 Victoria Street, Kamloops, British Columbia V2C 1Z5. Keeping all of you in our thoughts as you remember and grieve this wonderful, quiet, kind man so many great times we had with him and all of you . Thinking of all the family during these emotional times. I enjoyed the talks we had over the past couple of years. My deepest sympathies on the loss of your dad.